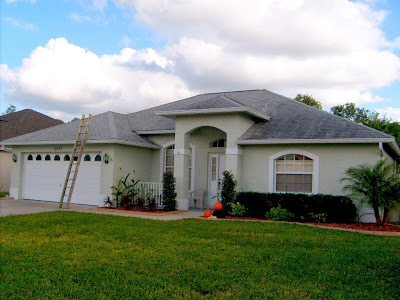 Here are some roofs we cleaned in Brandon Florida recently. I graduated from Brandon High School in 1972 and have been cleaning roofs w/o using any pressure in Brandon for a very long time. Let the others sing you a song and dance about their "wonderful" roof cleaning. Our roof cleaning pictures speak for themselves! Do not be deceived by liars and con men in the roof cleaning business who take pictures of already clean, impressive looking roofs in Brandon someone else cleaned. Look for, and demand before and AFTER roof cleaning pictures. 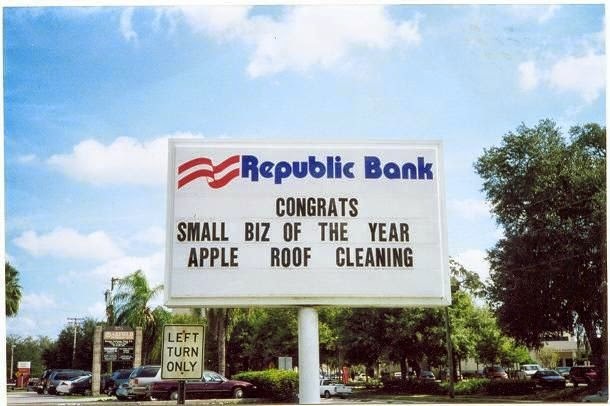 Look around their site, then compare their roof cleaning pictures with ours. NO roof cleaning company in Brandon, or anywhere in the entire Tampa Bay area cleans, or has cleaned, anywhere near the amount of roofs we have. Call Apple Roof Cleaning Brandon FL at 813 655 8777 and we will treat you right.